Vitamin K2 is an essential vitamin that many people never hear of until they have their first child and the nurse administers a Vitamin K injection. Sadly, this essential nutrient is often overlooked, and it is important at all life stages, not just for newborn babies or pregnant moms. Other vitamins and minerals like Vitamin D, Magnesium and Calcium get the attention they deserve, but K2 is often ignored with dire consequences. Vitamin K is a fat soluble vitamin that is important for blood clotting and that contributes to a healthy heart, bones and immune system. Vitamin K1– (or phylloquinone) is natural form found in greens and nettle that is used by the liver for proper blood clotting. Which Form of Vitamin K2 is Best? Vitamin K1 is found in leafy greens, though only a small amount is actually absorbed and used by the body. In fact, experts suggest that only 10% of Vitamin K1 from greens is used by the body. Interestingly, studies have shown great health and cardiovascular benefits from K2, but hardly any effect from K1. K1 is necessary for proper blood clotting and is used by the liver, while K2 benefits the bones and controls proper utilization of calcium. In fact, it is helpful to think of them as two separate nutrients with different purposes. 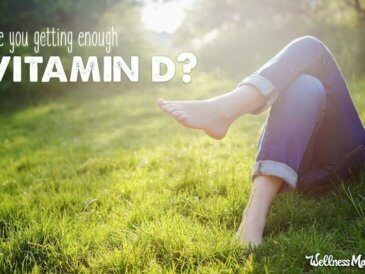 Are We Deficient in Vitamin K? Estimates are that over half of the adult population is deficient in Vitamin K.
While the effects of Vitamin K deficiency can show up in more serious problems like cardiovascular disease, bone loss and tooth decay, it can also manifest in smaller symptoms like easy bruising, heavy periods, or nosebleeds. Those with digestive problems or with a history of antibiotic use are the most at risk for these problems. In general, it would be a good idea to get adequate K1 and K2 from diet and supplements, though K2 is the most studied and effective for the benefits listed below. For the rest of this post, I’ll be using the terms “Vitamin K” and “K2” to refer to the K2 form of Vitamin K.
So why is Vitamin K so important for optimal health anyway? Research has shown that Vitamin K2 is one of the most important nutrients for long-term bone health and that it is even more important than calcium. K2 is needed to help calcium and other minerals bind into the bone matrix to strengthen bones (and not to stay in soft tissue where it can cause calcification in the wrong places). In fact, studies have shown that Vitamin K is effective at not just stopping bone loss in people with osteoporosis but potentially reversing it as well. (3) This same research found up to an 80% reduction in fractures in osteoporosis patients with K2 supplements. I wrote before about how calcification of the arteries can occur when a person consumes too much calcium without the needed cofactors in the right ratios: Magnesium, Vitamin K2 and Vitamin D3. The book Vitamin K and The Calcium Paradox details how Vitamin K is needed to usher calcium into bones and other necessary places in the body and keep it out of soft tissue, arteries and the heart. 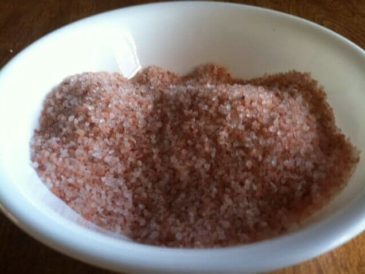 Magnesium is also important for this process and without the needed K2, D3 and magnesium, calcification is more likely. It is important to note that the research only shows a cardiovascular benefit from K2 and not K1. In fact, the Rotterdam study found that those with the highest dietary or supplemental intake of K2 had the lowest risk of calcification of the arteries, and the lowest risk of getting or dying from cardiovascular disease. With the drastic rise of heart disease in recent decades, Vitamin K is becoming an ever-important topic. Oral health is vital for overall health and Vitamin K is important for oral health. In fact, Vitamin K was one of the vitamins that Dr. Weston A. Price found was vital for tooth remineralization and prevention of cavities. Human research is still in the early stages, but we know that Vitamin K is needed for the production of MGP (matrix GLA protein), which helps avoid calcification in the arteries. This same protein helps stop calcification in the veins as well since the calcium meant for the bones is ushered into the bones and does not accumulate in veins and arteries. The preliminary study published in the Journal of Vascular Research found that Vitamin K2 was necessary in reversing the chemical change and avoiding or getting rid of varicose veins. More research is needed, but since Vitamin K has so many other benefits, it might be worth trying for those who struggle with varicose veins. A 2003 study showed a benefit of K2 in slowing the growth of lung cancer and leukemia cells. 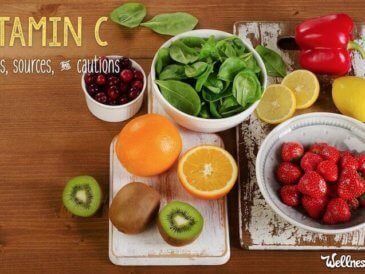 Lab studies demonstrate tremendous potential for vitamin K in many other cancer types as well. 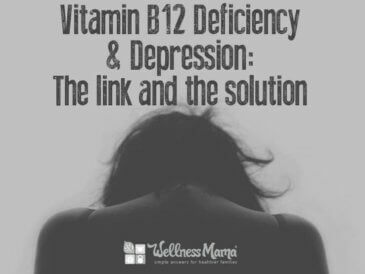 Vitamin K2 induces certain kinds of human leukemia cells to differentiate, or turn into normal white blood cells. In cells from certain brain tumors, in stomach cancer, and in colorectal cancer lines, vitamin K halts the reproductive cell cycle and induces apoptosis. Vitamin K also triggers a DNA-degrading protein that cancer cells normally suppress; thereby preventing tumor cells from repairing themselves effectively. More research is definitely needed, but these initial studies show that Vitamin K may be an effective (and inexpensive) possibility for the future of cancer treatment. 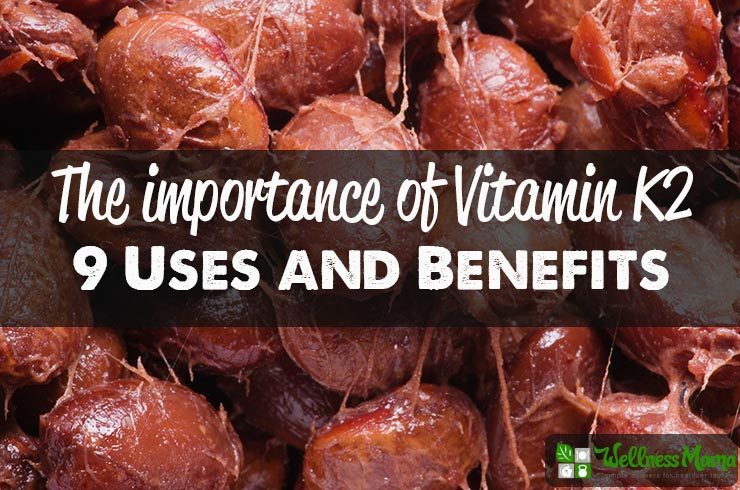 Some fascinating new research showed that the same process that makes Vitamin K helpful for preventing calcification of the arteries and muscle tissue might also make it beneficial for protecting the brain against Alzheimers and other diseases. In short, the theory is that Vitamin K helps prevent excess calcium in the body (including the brain), and this excess disregulated calcium in the brain accounts for some of the damage from Alzheimers. I already mentioned how Vitamin K is needed for proper calcium synthesis (along with magnesium) but it is also needed in balance with Vitamin D3. K2 and D3 work synergistically for many aspects of health. In fact, Calcium, Magnesium, K2 and D3 all work in balance. 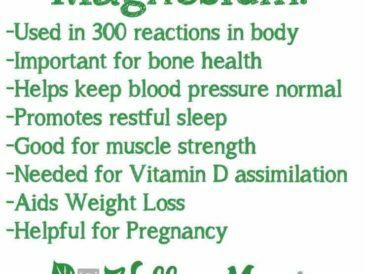 Taking too much D3 can cause a Magnesium deficiency without supplemental magnesium. Taking too much calcium can cause a magnesium deficiency or lead to over-calcification. K2 is also promising for skin health and anti-aging. Just as it prevents the calcification of arteries, veins and soft tissue, it helps stop excess calcium in the elastin in the skin. 2011 research showed that women with extensive wrinkles were also more likely to have low bones mass. Other research has shown that Japanese women were less likely to have wrinkles than other cultures, and noted the natto (fermented soy high in K2) in the diet of Japanese women. How to Test for Vitamin K2 Deficiency? You can measure serum K1 and K2, just like you can measure D3, but unfortunately, this is not extremely accurate, since K1 is held in the liver and has a short half life (about 4 hours). Essentially, a serum K test would only reveal Vitamin K levels from food intake in the last day or so. There is a more advanced test, called the enzyme-linked immunosorbent assays (ELISA) that tests the presence of MGP. Initial reports on this test showed that almost 100% of people tested were deficient. The doctor who developed the test, Dr. Schurgers, suggests that almost everyone could benefit from increasing dietary and supplemental levels of K1 and K2. Since there are no known side effects from K2 consumption, even at high levels, I take 180 mcg (two 90mcg capsules) per day on most days (consuming a small amount of Natto would also work). I also consume Fermented Cod Liver Oil Daily, which is a natural source of K2 (and other fat soluble vitamins), as well as Emu Oil (a natural source of K2). Raw butter from grass fed cows is also a good source of Vitamin K2 for those who tolerate dairy. Some experts recommend as much as 500mcg per day, but I would only consume high levels like this under the guidance of a practitioner to make sure that cofactors (D3, calcium and magnesium) maintained proper levels as well. For K1- I eat a lot of leafy greens and use nettle leaf (high in K1) in many of my homemade herbal teas. 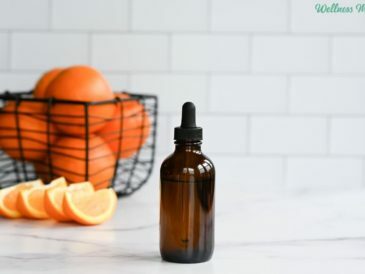 Of course, since K2 is a fat soluble vitamin, it is important to check with a doctor before taking, especially at high doses of if pregnant or nursing. I also recommend this book for learning more about Vitamin K supplementation and safety. 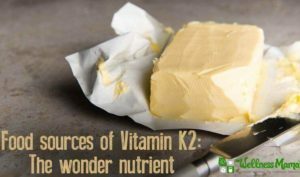 I believe that Vitamin K2 is an unspoken and vitally important nutrient and that widespread deficiency could be related to the rapid rise in health problems we see in modern society. Those who have any of the health problems associated with K2 deficiency (listed above) might consider doing their own research on K2 and talking to a qualified doctor of practitioner to see if it would be beneficial for their specific cases. Have you ever used Vitamin K2? Did you notice any benefit? Share below!